New on ejournals@cambridge A-Z : JOURNAL OF COMPLEX NETWORKS. Now available to the University of Cambridge volume 1 (2013) to present. Access Journal of complex networks via the ejournals@cambridge A-Z or at this link. New on ejournals@cambridge A-Z : Process Studies. Access Process Studies via the ejournals@cambridge A-Z or at this link. Image credit: ‘Principia mathematica’ by A. N. Whitehead and Bertrand Russell – classmark S348.b.91.1-3 (3 vols), available to order in the West Room at Cambridge University Library. The Betty & Gordon Moore Library and the University Library are pleased to announce the University of Cambridge now has access to the entire archive of the Springer series Lecture Notes in Mathematics back to 1964. Lecture Notes in Mathematics is an essential resource providing access to new developments in all areas of mathematics and their applications. The type of material covered includes research monographs, and slightly more unusually and more difficult to source, Lectures, on a new field or presentations of a new angle in a classical field, and reports of intensive courses on topics of current research. Access the Lecture notes in mathematics backfile via this link or via the eresources@cambridge A-Z. Records for the individual monographs and lectures will be available in LibrarySearch and LibrarySearch+ mid-month. 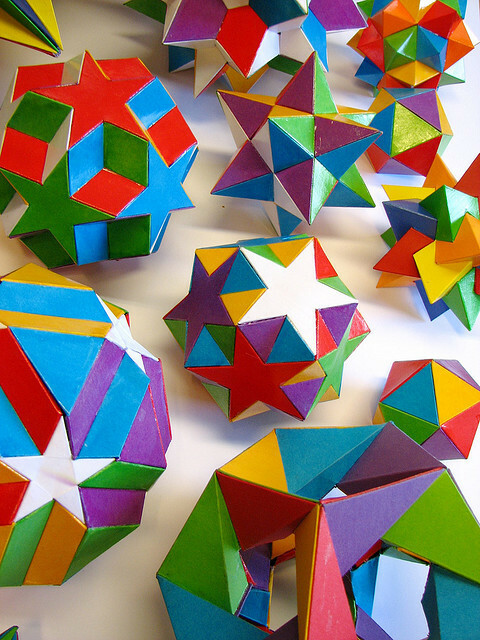 Polyhedron models by fdecomite on Flickr. New on ejournals@cambridge A-Z : Journal of Topology. Access Journal of Topology via the ejournals@cambridge A-Z or at this link.